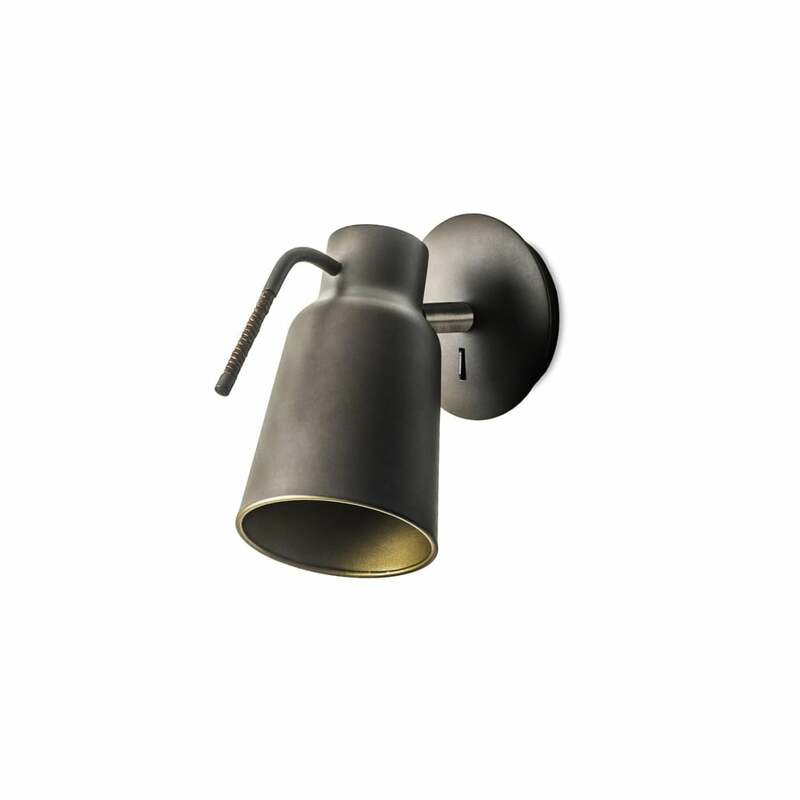 A single wall light with a contemporary design but with a slight industrial influence, the light has a dark brown finish with a golden inner and has an adjustment lever wrapped in a braided silk yarn. It is individually switched by a rocker switch on the wall rose and would be ideal for lighting in a bedroom or living room. A great choice for hotel or home lighting.